A lot of best practices are shared on making email marketing more effective, for example, how to improve email creative and copy. For larger brands, email marketing is a vital driver of sales from prospects and customers, yet to improve results, more complex issues reviewing email communications strategy need to be improved to get the biggest gains. 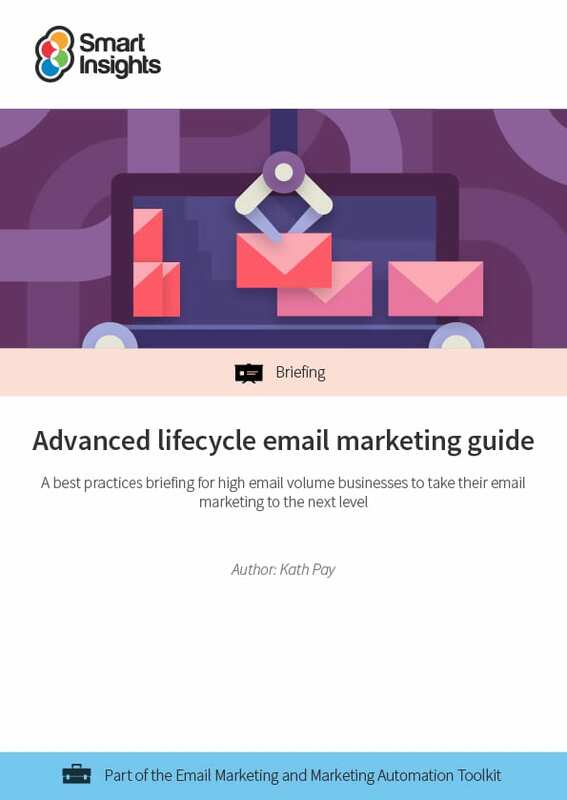 In this guide, email marketing expert Kath Pay explains the key success factors that you need to review in your email communications strategy focusing on advanced techniques most relevant to transactional e-commerce businesses and larger organizations in sectors like retail, financial services, and travel. This guide is aimed at managers responsible for growing online revenue by integrating different communications channels in larger organizations or businesses that are already fairly sophisticated in their email marketing. It will also be of direct interest to those specifically responsible for managing email marketing in an organization. 1. Email value proposition: Auditing and selecting relevant broadcast (newsletter and campaigns) and automated communications throughout the customer lifecycle including Welcome sequences, customer on-boarding, repeat sale, engagement and reactivation. 2. Targeting: Delivering relevance by improving segmentation and targeting customers with different value including predictive analytics. 3. Frequency: Selecting the best frequency for different types of email depending on the engagement and value of the subscriber. Kath lives and breathes email marketing and is one of the World’s Top 50 Email Marketing Influencers (Vocus, 2014). She devotes her time to developing customer-centric e-commerce and B2B journeys using a holistic, multi-channel approach. Kath is recognized as the UK’s leading Email Marketer and heads up training for Econsultancy on personalization and email marketing. You can follow Kath on Twitter and connect on LinkedIn. 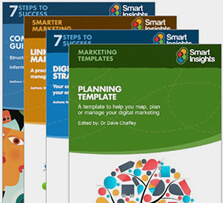 Business members get full access to this and 7 other guides in the Integrated lifecycle marketing Toolkit.